Why do some of the biggest names in business trust the property tax consulting and property tax compliance experts at Advantax? Our leaders have deep expertise. Advantax senior leaders’ deep expertise and breath of knowledge is respected across the industry. They have brought efficient solutions to the most complex issues. Our leaders are creative, dedicated and recognized for personal integrity at work, home, and in the community. At Advantax, each leader takes his commitments and promises seriously. Peer-to-peer accountability, transparency, and a commitment to excellence drives our culture and results in quality, reliability, and industry leading performance. 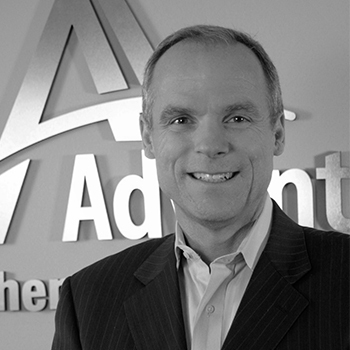 Andy King is CEO at Advantax. His primary focus is on ensuring a superior level of service to Advantax customers while guiding the company’s financial needs and developing a workforce of professionals that is second to none. Prior to joining Advantax, Andy was Senior Vice President of Finance and Chief Financial Officer at PrimeSource Healthcare Systems, the nation’s largest provider of mobile, on-site geriatric care. Working with the company CEO, Andy developed and executed a strategic plan that saw the company’s sales double in four years. Andy was the Vice President of Finance for Tire Distribution Systems a subsidiary of Bridgestone USA as well as the Treasurer for RTO a subsidiary of General Electric. Andy began his career at KPMG in Chicago. 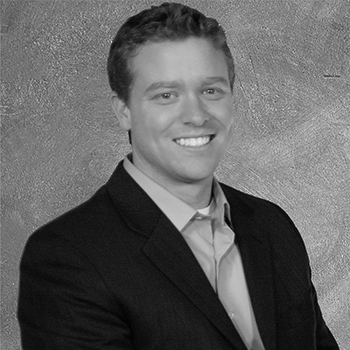 Andy has his MBA from the University of Chicago as well as a BS in accounting from Illinois State University. Andy is a CPA and an avid runner (his wife calls it his obsession). HOW DID YOU GET INTO PROPERTY TAX? Everyone knows the three best jobs are Rock Star, Astronaut and Property Tax Consulting. BEST THING ABOUT WORKING AT ADVANTAX? Clearly the people I get to work with – our associates and our customers. 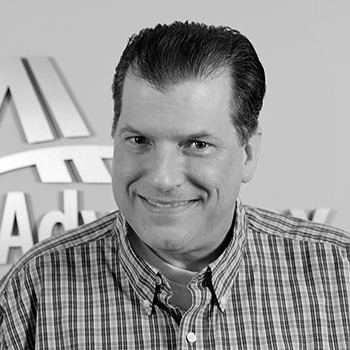 Tim Ferraro is an Advantax Tax Team Leader, specializing in complex properties. With over 17 years of experience in property tax management, Tim combines both consulting and compliance skills to help customers ethically achieve the minimum legal amount due in property taxes. His expertise in tax consulting includes industries in chemical and food manufacturing, mining, healthcare, equipment leasing and warehouse distribution. Prior to joining Advantax, Tim served as Senior Tax Analyst at Comdisco, Inc. where he helped to manage the filing of over 12,000 annual personal property tax returns with an emphasis on timeliness and accuracy. Tim is an active member of the Institute for Professionals in Taxation, where he holds a CMI designation. He also studied Electrical Engineering at the University of Michigan. While playing on a steel dart league, a team member became my first manager in the Property Tax field. While trying to uncover tax savings for our customers, I am lucky enough to see (up close) how things are made. Charles Sanders is the Vice President at Advantax with a focus on real property and personal property consulting. He is responsible for valuation analysis and tax assessment appeals, including both Personal and Real Property tax management. Charles brings experience with all facets of the property tax and valuation industry and displays a wide range of knowledge, positively impacting the success of his team. Charles is involved with reviews, appeals, site tours, hearings, and audits. He successfully achieves property tax savings by exploring the three approaches to value in order to form an opinion of value. Prior to joining Advantax, Charles worked at ArcelorMittal USA, Inc., the largest steel manufacturer in the US. Charles handled personal and real property appeals, reviewing and establishing obsolescence opportunities resulting in property tax savings. Charles is an active member of the Institute for Professionals in Taxation. He holds his Bachelors in Accounting from the University of Iowa. Seeing people achieve the unthinkable. I was on a youth bowling team that achieved 3rd place in the nation for Team High Series. The Tax Manager of a company was looking for “someone with a good work ethic” to come fill a spot in his tax department. The rest is history. Variety. On any given day you can work on coal mines, chicken farms, chemical plants, slot machines, hospital gowns, mega distribution facilities, etc. Things are always interesting!